What’s the importance of contracts and agreements? 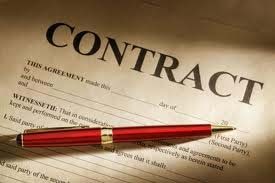 Contracts between editorial freelancers and their clients can be oral, written, or electronic; formal or informal. A contract doesn’t need to be written in legalistic language. It is simply a list of terms to which both parties agree. When difficulties arise, people tend to forget oral agreements, or see them as disadvantageous to them, or remember the terms differently. In such cases, a written document can be consulted. You may wish to draw up an agreement and send two copies to the client, requesting that the client sign both copies and return them to you by mail. You would then sign both copies, retain one, and mail the other to the client. That way each of you has a copy with both signatures. You want your contract to cover as many issues as possible in order to avoid misunderstandings. No one can foresee every necessary contract term, but the following checklist can help ensure that key issues are addressed. Special considerations, such as equipment needed and any reimbursement for equipment, prospect of project’s interruption, possibility of subcontracting a portion of the project, etc. The first step in resolving any conflict is discussion. In most cases, renegotiation can resolve difficulties if both parties are willing to address the concerns with compassion and understanding. Failing that, there are legal remedies available. Mediation and arbitration are two possibilities. Other remedies involve lawsuits, which everyone generally prefers to avoid. If a client owes you a relatively small amount of money, you may be able to take the matter to small claims court, where cases are decided by a judge, without the advice (and expense) of an attorney. Procedures for small claims courts vary from state to state. For both freelancers and clients, court action is a last resort. Although it may be necessary when other measures have failed, the costs of bringing a lawsuit to court—in time, money, and frustration—usually outweigh the possible gain.